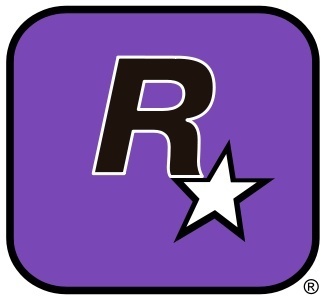 A leaked email attributed to Rockstar New York denies the allegations of the "Rockstar Wives" and encourages dissatisfied employees to speak out about their concerns. You should know the story by now: A group of "determined devoted wives" of Rockstar San Diego employees recently published an open letter criticizing the studio for overworking employees while at the same time cutting benefits and offering only the most meager salary increases. The International Game Developers Association weighed in yesterday, offering support to the employees and calling for further dialog between all involved parties and now a response from Rockstar itself has also come to light, admitting that the last few months have been "tough" but disputing most of the wives' allegations. Posted on Gamasutra, the email from Rockstar New York to San Diego employees is dated January 11, soon after the initial controversy erupted. In it, the company says it "takes issues related to working conditions extremely seriously and will look to address any genuine concerns immediately." "We do not agree with the allegations in the Gamasutra post (e.g. there has been no reduction in health benefits or ancillary benefits and perks (such as free dinners and massages etc), wage increases across the studio have kept track with cost of living increases, and anyone who feels they have been overlooked for a bonus for a game they worked on please contact HR to discuss as soon as possible)," the email continues. "Nevertheless, we do know that the team is working very hard right now, and we care deeply about the physical health and mental well-being of every single person on our team. We are committed to working through any issues anyone at the studio may have, and to providing support wherever possible." Employees who have "concerns" are directed to contact one of Rockstar's human resources people or, to speak "in confidence outside of Rockstar," to get in touch with the head of human resources for Take Two Interactive. It sounds good, but not everyone is convinced that the sentiment is genuine. One follow-up comment said the email was either "twisting the truth or an outright lie," while another, posted by someone claiming to be a member of the Red Dead Redemption development team, implied that the situation has already gone too far. "It's very hard to imagine a bright future working under a management that we have already lost trust in," he wrote. "On the behalf of many, I suggest that the two current studio managers quit." With the response from Rockstar New York in the books, we've now heard from everyone except the San Diego developers themselves. A few have commented on the matter individually but unlike the wives, the management or the IGDA, they have yet to get together and speak with a unified voice. It could be that they're afraid to rock the boat, or that they're spending every waking moment on the game and simply don't have time to make themselves heard; it's also possible, I suppose, that they just wish the women would go away and do something else so they could get on with their jobs. Whatever the reason, until the employees make themselves heard, or Red Dead Redemption comes out on time and is as awesome as everyone hopes, this mess will continue to be an ugly blemish on Rockstar's record.